You don’t have to be an artist or to be involved in art-making to be creative. The simplest definition of creativity is to think outside the box or to have the ability to transcend the usual way of doing things. 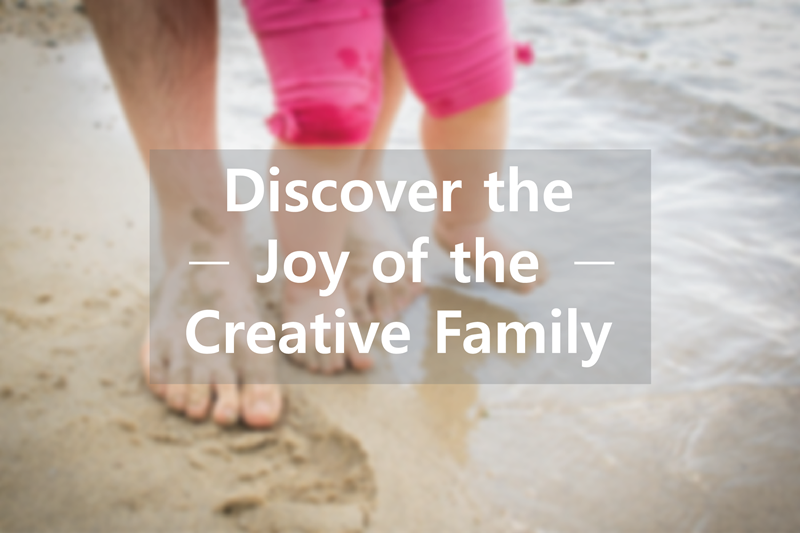 By that alone, it’s easy to see how creativity can figure in your daily life—or more specifically, in your daily life with your family at home. But how is this possible? Where does creativity fit in the mundane, humdrum, ordinary rhythm of daily life? Psychologist Mihaly Csikszentmihalyi writes: “Creativity is a central source of meaning in our lives. Most of the things that are interesting, important, and human are the result of creativity.” (Source: https://www.psychologytoday.com/articles/199607/the-creative-personality) Prof. Csikszentmihalyi’s definition might explain why creative work feels so enriching and rewarding. It’s also an indication of its potential to be applied in many aspects of personal life, work, community and family building. Fostering creativity within your home, among your children, can make your family life more fun, meaningful and—stressed out parents might be glad to know—relaxing. Children with creative imaginations are confident enough to keep themselves entertained for hours, without the need for electronics or expensive toys. Ordinary household items, discarded cardboard boxes, things discovered from the garden—these simple things can already present a complex and colourful universe for creative kids. Another gift of nurturing creativity in the home is it will teach your small ones how to handle their emotions. Tantrums and outbursts in children, especially during the toddler stage, are often a result of frustration because they cannot process or express their emotions very well. But creative children, because their brains are trained to be problem solvers, will find ways to make you understand how they feel. The result is they often possess emotional maturity, social curiosity and empathy that may be advanced for their age. At the very least, you can expect to have less yelling and crying in the house. Awakening creativity is actually very easy to children because they don’t have the barriers and baggage that hinder the creative spirit among adults. Encourage off-screen activities such as drawing, singing, dancing, play-acting among your kids. Make music a regular part of your household. Invest in art materials and place them in an area where the kids can easily access them. Lastly, nurture creativity by living it yourself. Engaging in Guided Imagery can free you from the assumptions and beliefs that might be holding you back or away from the creative life. The practice can help your mind let go of fears, distractions, and petty thoughts and unlock the creativity that you’ve always had all along.